AE467, a 4-page article by Reza Ehsani, Sindhuja Sankaran, and Cristian Dima, reports the results of a needs assessment focus meeting. 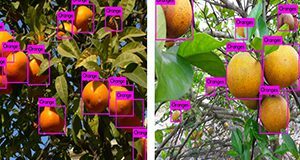 It provides a synopsis of perceived apple and orange growers’ needs, expectations, and concerns related to the new technologies being developed for various precision horticulture applications. Published by the UF Department of Agricultural and Biological Engineering, October 2010. AE466, a 3-page illustrated fact sheet by Reza Ehsani, shows how Global Positioning Systems data can provide very useful information about the efficiency of agricultural equipment. Published by the UF Department of Agricultural and Biological Engineering, August 2010. AE438, a 7-page illustrated fact sheet by Reza Ehsani, Sherrie Buchanon, and Masoud Salyani, provides citrus producers using GPS for citrus greening disease scouting with some simple explanations of the causes of GPS error and the level of accuracy that can be expected from different classes of GPS receivers. Published by the UF Department of Agricultural and Biological Engineering, January 2009. AE444, a 5-page illustrated fact sheet by Reza Ehsani, Arnold Schumann, and Masoud Salyani, describes this important site-specific management component of precision agriculture which provides economic benefits to growers while reducing the application of agrochemicals. Includes references. Published by the UF Department of Agricultural and Biological Engineering, January 2009.